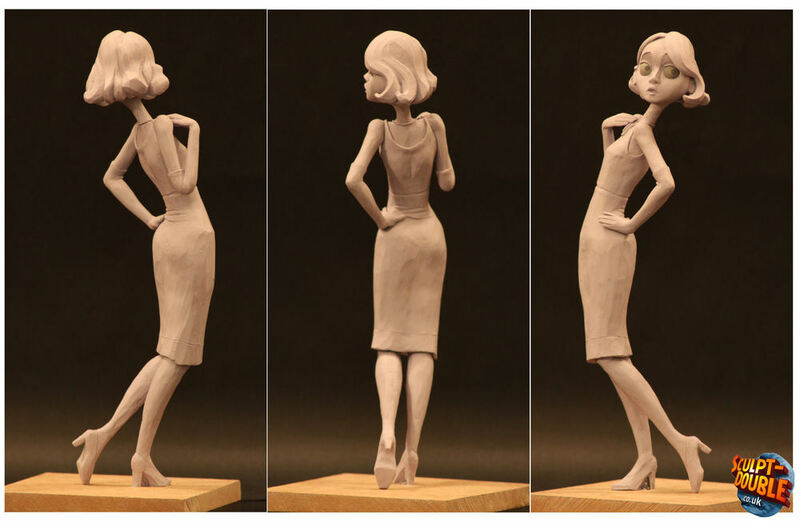 Character maquette of Elle the Actress from our stop motion short film 'Opening Night'. This plasticine sculpture stands 12 inches tall. The finished sculpt was photographed and digitally painted to add colour and finalize the design.